On August 30, 2017 while riding in the car with her Mom, Abby. . .Sophia Lee PreJean, our most precious Grand Sugar at two years of age, was recorded saying. . .
Then with an Academy Award winning smile. . .Sophia would say it again. Needless to say my fine wife Bev and I watched that video over and over again. Not only was the video cute. . .but it was instilling in Sophia. . .a set of beliefs that will serve her well all the days of her life. If I had a penny for every time someone said to me. . . “the enemy is just trying to hold me down” or “my circumstances are holding me back”. . .I would be able to pay for my dream trip of two weeks in Bora Bora. When people say that to me my usual response is. . .you know. . .you’re right. . and I don’t want to know your circumstances. Spiritually speaking. . .I define circumstance as the circle you’re standing in. In which case, we would be leaving our circumstances behind. So for me. . .the question is why do I want to hear about what the person ought to be leaving behind. Every time someone painstakingly reviews, renews and refreshes their circumstances they are forcing themselves to live them again. We don’t need to revive our current dilemma . . .we need to seek answers. . .ways to rise above our circumstances. . .whatever they may be. That was my title long before Donald Trump ran for president and made a catch phrase of Make America Great Again. 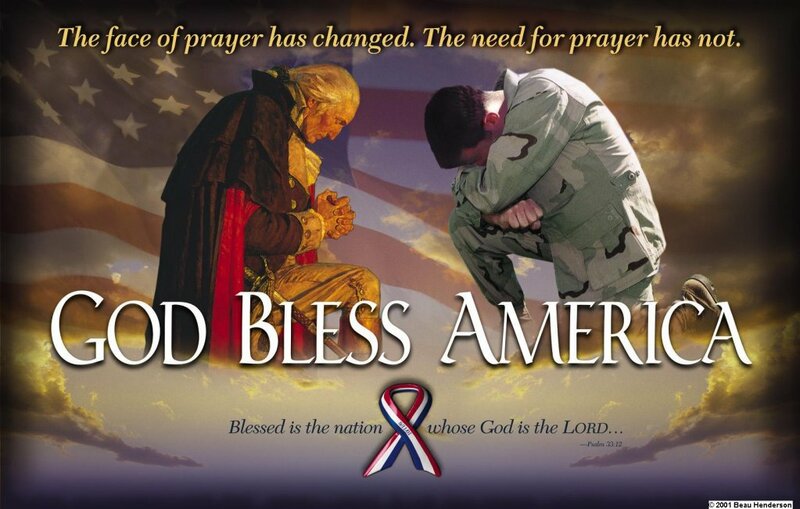 It’s no myth … but a proven fact that this country was made great and would not even exist were it not for God. That may seem like a bold statement but there are volumes of historical facts to back it up. Since we are about to celebrate our 242nd anniversary of the Declaration of Independence this teaching is one part history lesson and one part call to action … so we can remain One Nation under God. The United States of America is and has always been a country like no other. There are so many ways God was directly involved in our country but here are five strong ones. Sometimes we fail to recognize when we are changing or being changed...by the people or circumstances around us. There are seven things we need to recognize for they give us the power to change our daily lives and our destiny on planet earth. God gives you the breath of life. . .PLUS He enables, enlightens, empowers, equips and energizes you with everything you need to fulfill your destiny. As a born-again believer you are the recipient of the power of God. At your disposal you have the nine power gifts of the spirit. . .found in1 Corinthians 12:1-11. You also have the motivational gifts of the spirit. Romans 12:6-8. And the very good news is that God doesn’t want you to miss how much good these gifts can help you. When you woke up this morning. . .did you expect this to be your best day ever? What is your expectation for the today? Is it different than yesterday or the day before? Do you have any expectation or are you just glad that you made it through another night? Do you expect to feel better today than you did yesterday? I was channel surfing when I came across an old James Bond movie entitled “Tomorrow Never Dies.” I joined the movie in a scene where Bond is talking with M, the head of MI6, the British Secret Service. As I was thinking about the ever-enterprising M. . .I started thinking about the seven M’s to your personal success. This teaching will be more nutritious for you. . .than all the M & M (I like the peanut ones) you could ever eat. And yes, I do like M & M’s because sometimes you feel like a nut and sometimes you don’t. The Word of God can perform surgery on our brains with more precision and better results than any neurosurgeon ever could. The Word changes our mindsets. Unfortunately, some believers don’t know how or don’t do what they know to do. . .in order to make the Word work for them. As I was reading Isaiah 55:11 my spirit was stirred to write “Making The Word Work For You” based on that scripture in the Classic Amplified Bible. You can’t send forth what you don’t know. Your mouth can’t speak and send forth what you heart doesn’t understand. But you can better understand how it works when you look at the verse in greater detail. The Word that goes forth. . .is not in written form. . .but the spoken Word. And these are not just any words. . .they’re the words of God from the Word of God. I want you to read and say the next sentence out loud. God wants me to live a life of significance. Now I want you to write that sentence down. To live a life of significance. . .does it mean you were one of the 600 guests invited to royal wedding of Prince Harry and Meghan Markle? NO! Does it mean you were one of the 2,500 people invited on the grounds of Windsor Castle? Absolutely not! Before going any further. . .let us clear the air. You are a royal. . .you’re the child of the King. . .not just any king but The King of Kings. As it says in 1 Peter 2:9 you are a royal priesthood and you been called to show others the goodness of God. . .and that means you have royal blood flowing through your veins. It’s the story of Bart Millard of the Mercy Me musical group. The movie tells the story of a young man verbally and physically abused by his father. . .and their journey to a restoration that only God could cause to happen. I won’t take the time to tell you more about the movie. . .I’ll just say. . .go see it or buy the DVD when it comes out on June 12th, Father’s Day. Here are the first two verses of the song.